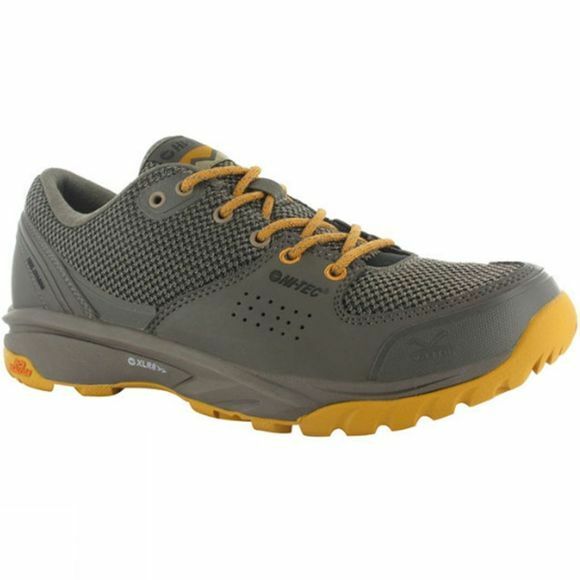 The Men's V-Lite Wild-Life Low I Waterproof Shoe from Hi-Tec is a comfortable and durable walking shoe that offers excellent wet weather protection. They boast an XLR8 midsole that keeps weight to a minimum while ensuring greater rebound and energy absorption than other standard EVA midsoles for fantastic on-the-hill performance. The Dri-Tec is waterproof and breathable to keep your feet dry at all times, this works particularly well with the i-Shield durable water repellent finish while the MDT outsole is durable and grippy on a huge variety of terrains.